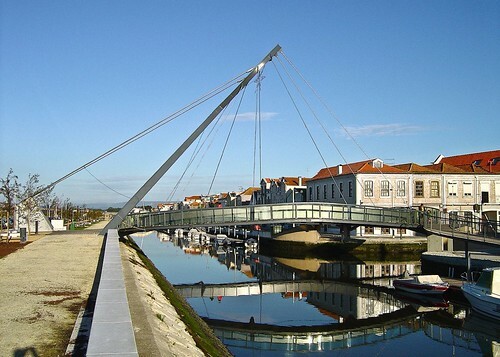 Here is a unique circular footbridge in Aveiro, Portugal which joins the three banks of two canals, S. Roque and Botirões. The bridge known as "Ponte Pedonal Circular" was designed by the architect Luis Viegas and engineered by Domingos Moreira. It has a diameter of 26 metres with 2 metres wide walkway. 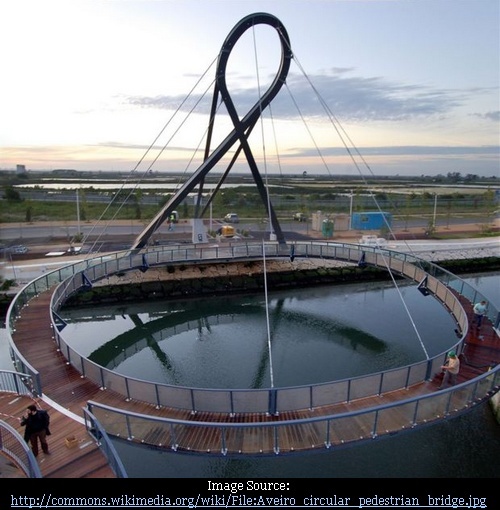 The bridge is used by pedestrians and cyclists and also has a ramp for persons with with limited mobility. It has stainless steel railings which are provided with transparent laminated glass to allow viewing of the scenery. The bridge is illuminated during the night.